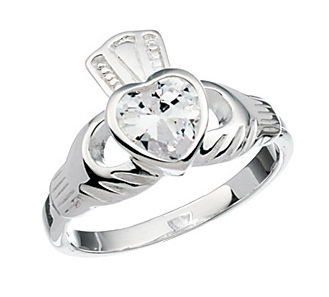 The claddagh design means "With my two hands I give you my heart, and crown it with my loyalty." The meaning and significance of the Claddagh ring is not just in the crown, heart and clasping hands, it also extends to the hand on which the ring is worn and the direction in which the crown on the ring points. 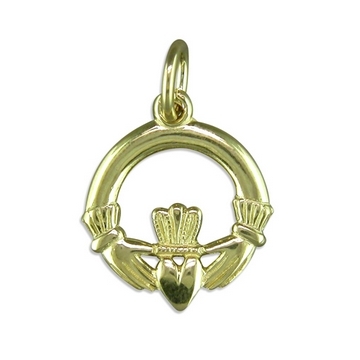 In case of a married or engaged person Claddagh rings are worn on the left hand with the crown pointing away from the (the person wearing the ring) heart. For a person willing to consider love the ring is traditionally worn on the right hand with the crown pointing away from the heart. For a person not interested in starting a relationship the Claddagh ring is worn on the right hand with the crown pointing towards the heart. 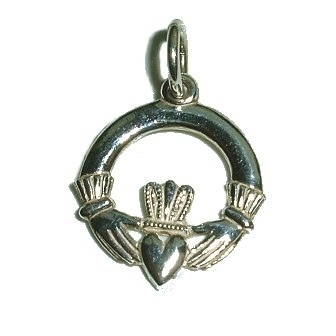 We now see Claddaghs in the form of pendants, charms, bracelets and many more jewellery items and they make a wonderful gift for someone special.